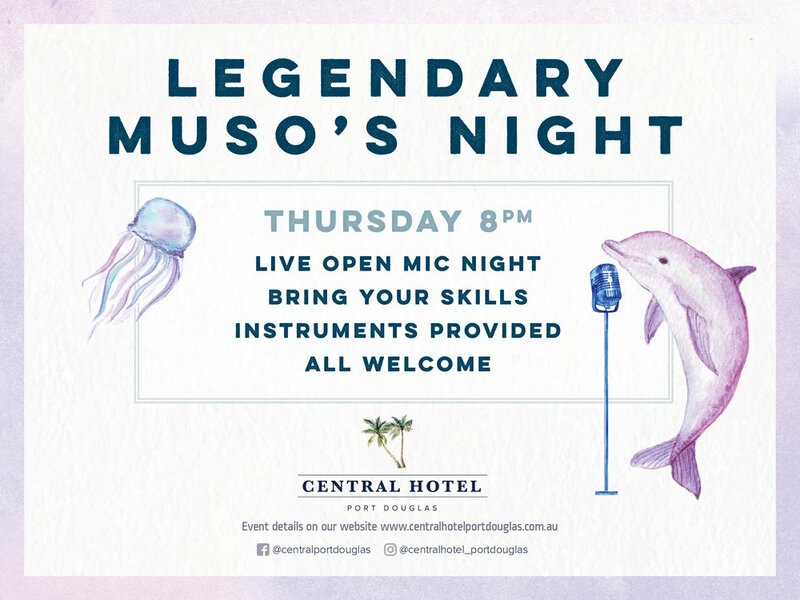 Join us for Legendary Muso's night Thursday nights in the main bar! We provide all of the instruments, just bring along your band members! It's the best night out in Port Douglas and it is completely free! For more details visit @portdouglasmusosnight FB page!